I like saying the word quickly, with a lively roll of the “r” in the middle. 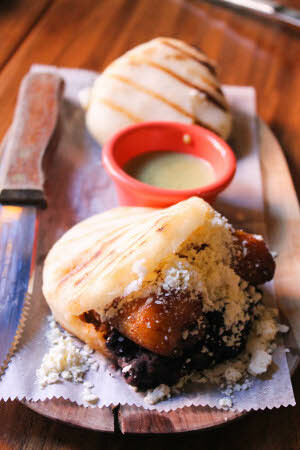 The first time I tried arepas, I thought it would be like a taco, mistaking Latin food for Mexican food. But arepas, traditional Venezuelan grilled corn pocket sandwiches, are nothing like the tacos I expected. They were sturdier, heftier, slightly doughy and puffy inside, lightly crisp outside. Filled with all sorts of goodies – cheese, meat, beans, eggs – they were like “little pockets of joy,” a description I once read that stuck with me. I visited the newly-opened Orinoco: A Latin Kitchen in Harvard Square for brunch last weekend, and my girl friends and I filled up on good conversation and these little sandwiches. Orinoco has two other Boston outposts aside from Harvard Square. There’s one in the South End and another in Brookline, but I’ve never been to either, in spite of my inclination towards restaurants that serve caipirinhas. (And flan.) I’ve been to another Latin restaurant (La Casa de Pedro in Watertown) several times and greatly enjoy the food and drinks, and I’ve heard many good things about Orinoco, so I was happy to finally check it out. Orinoco is in a little hidden alley along JFK Street. It feels almost magical to step way from the bustling street into the quiet entryway. I had to order a mimosa (had to!) because we were there for brunch. 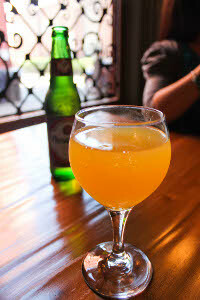 The Orinoco mimosa is made with proseco and passion fruit juice, and it tasted very refreshing. Essentially the Latin version of mozzarella sticks. Fried cheese for brunch, along with passion fruit mimosa? Why yes, yes, I would like that. This was my absolute favorite dish at Orinoco. Sure, I liked the other arepas too, especially the mananita since I do love scrambled eggs and chorizo, but that wasn’t the arepa that stole my heart. 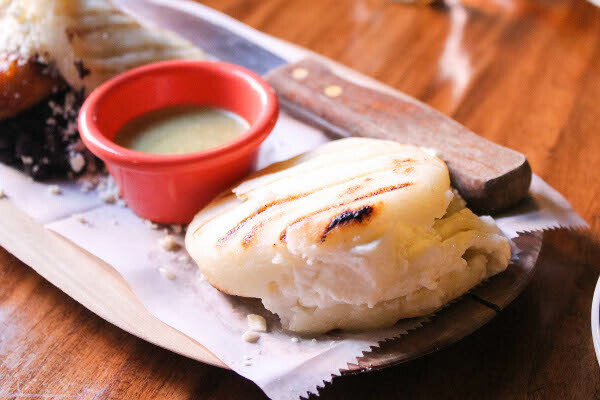 The guayanes cheese stuffed inside the arepa so closely resembled Filipino kesong puti (white cheese), the cheese I’ve loved my whole life. 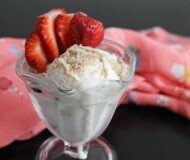 The soft pillowy texture, the slight saltiness, the intense creaminess – it was like biting into a sandwich from home. 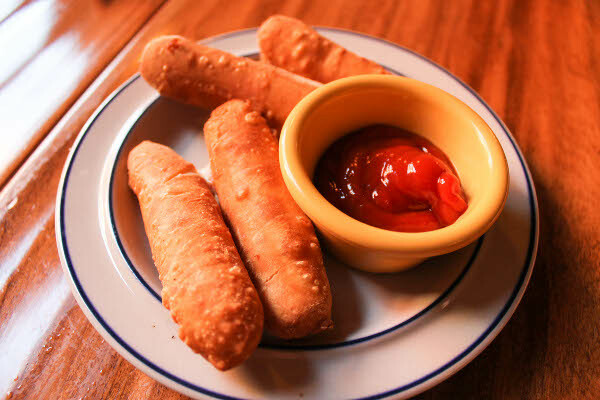 The tequenos contained the same cheese, but fried, and it was more similar to soft, stretchy mozzarella. But fresh, stuffed inside the grilled corn bread, it reminded me of my very favorite breakfast item in the world. 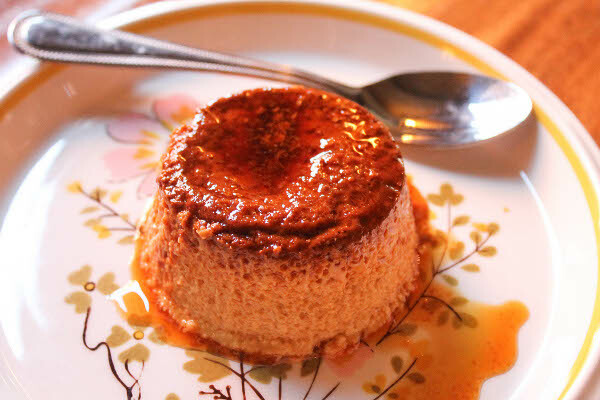 We ordered a caramel flan for dessert (which also reminded me of leche flan from the Philippines) and while it was fantastic, after tasting the arepa guayanesa, I couldn’t seem to like anything else better. My friends Kim, Mich, and I really enjoyed our brunch at Orinoco and we will definitely be back. Usually when I intend to come back to a restaurant, it is to try other items on the menu (like First Printer) but this time I am pretty sure that I will be ordering the guayanesa again. It was a pocket of joy, indeed. Arepas. I say the word even quicker now, as if saying it faster will get me closer to my cheese. I can’t wait for my next one. 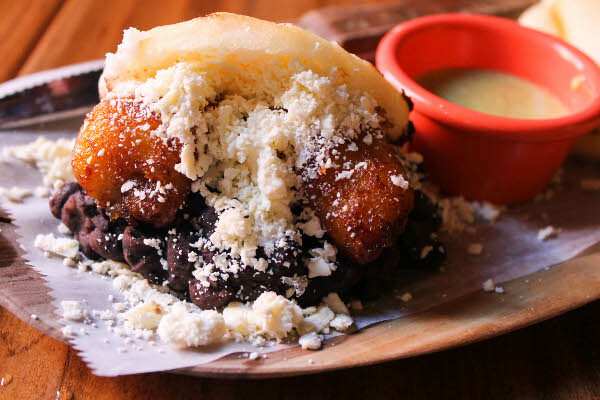 Have you ever had an arepa? What’s your favorite filling? This looks fantastic. 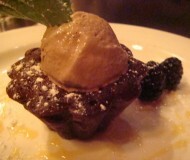 I tried Orinoco in the South End a few times a while back and was disappointed both times – sadly. You are making me think I need to give it another go. 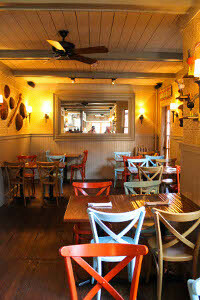 You make Orinoco look fantasic and the Harvard Sq location looks so cute. I tried the south end one a few times and was disappointed each time. You are making me think I might need to give it another go. I literally just saw this place on Phantom Gourmet! Looks awesome! Definitely going to try it…especially because it’s so close now! I love arepas, and I didn’t know this place had opened in Harvard Square! 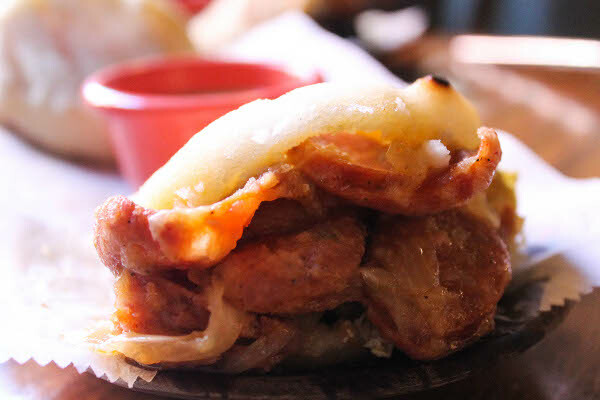 That Guayanesa arepa really does look amazing. I can’t imagine a much better breakfast. 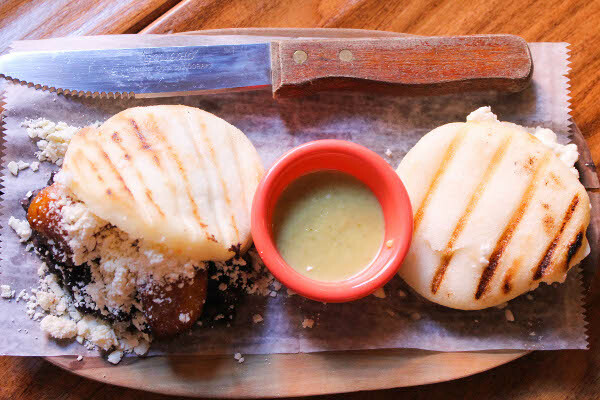 I’ve had arepas once, but nothing compared to how delicious these look. the space looks charming as well, another new spot I need to visit! I’ve never had arepas. I really, really want the reina pepiada. I love anything with avocado. Wow all of that looks INCREDIBLE. I think flan has to be one of my favorite foods…ever and that one looks top notch. Thanks for sharing such mouth watering pictures! P.S. nutella yogurt (as you mentioned on my blog) sounds incredible. You have been checking out some awesome Cambridge restaurants lately. I love your restaurant reviews! 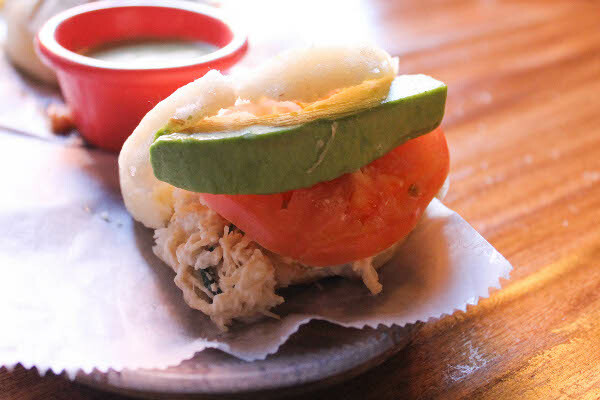 I love arepas, Caracas in NY makes awesome ones. I went to the Brookline Orinoco years ago and loved it. I was excited when I heard they were opening in Harvard. i love flan! i haven’t had it in so long.. the entire meal looks really yummy.. I work right next to the Orinoco in Brookline and have been once, but really need to go back and order a few more things on the menu – some of you dishes look amazing! Orinoco has been on my list of places to visit for a while now. 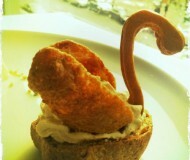 You photos are gorgeous, what a fun meal! That meal looks delicious and love your photos! Did you get a new camera? wow! 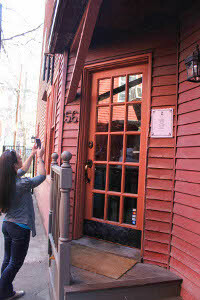 you took some great pictures of this meal- looks like such a fun place! 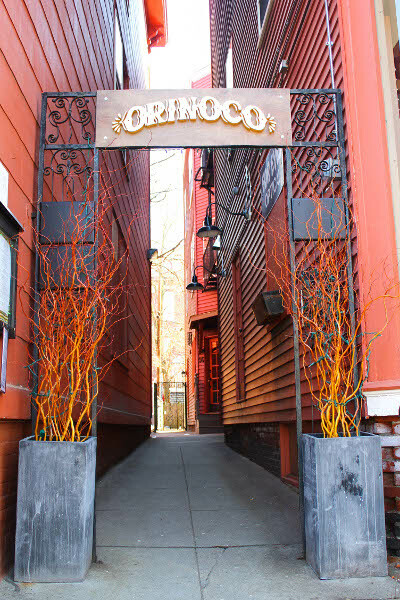 Okay, so…the Orinoco in the South End is one of my FAVORITE places to eat in Boston! In college, my roommate and i would go once every few months and STUFF ourselves with arepas. Oh how I miss it! I’ve been to the Orinoco in Brookline Village for lunch. Your brunch looks great! But I do have to say I’m sad Small Plates is no longer there. I actually never even got the chance to try Small Plates! yes! I’ve been to both orinoco’s before, and the arepas are definitely the way to go :) that location looked familiar to me, and now i’m sorry to see that it was small plates! I love Casa de Pedro in Watertown! I eat there all the time. 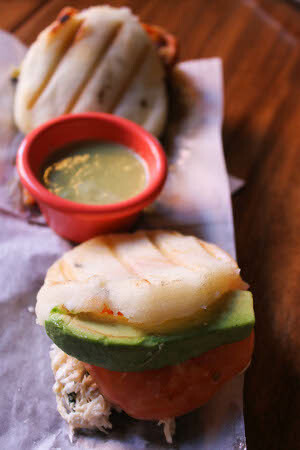 I’m not a huge arepa fan, but your photos are fantastic! This new location looks beautiful. Awww! Can I just tell you how close to home your post hits, I was born in Boston and grew up in Venezuela. 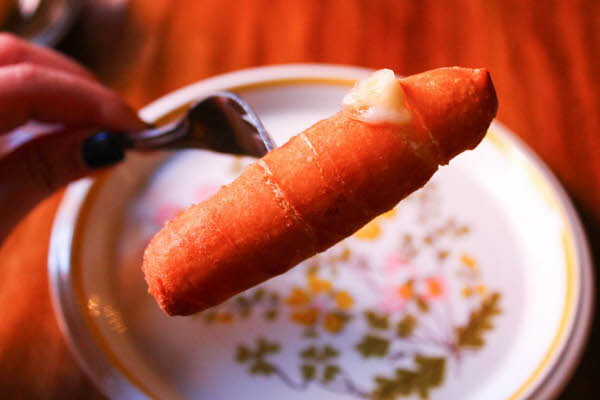 So awesome to see: 1. our culinary culture’s expansion and 2. other’s appreciation for it :) I grew up eating these things, tequeños, arepas de pabellon and reina pepiada are indeed a staple of our culture. Glad you enjoyed. Hi Adriana, thank you so much for dropping by my blog and leaving that nice comment. I don’t get to eat Venezuelan food as often as I would like, but I do enjoy it each and every time. And isn’t it wonderful to have so many strong connections between food and culture? Take care!